J.R.’s Lounge Shooting, Heroic Bystander Injured; Will Victim Seek Justice, Compensation? Could this senseless Atlanta lounge shooting have been prevented are justice and compensation available to the victim? 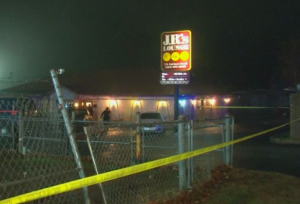 A fight escalated into gunfire outside “J.R.’s Lounge in the 100 block of Fairburn Road in southwest Atlanta” Sunday night, December 30, 2018, according to FOX 5. According to 11 Alive, “two people got into an argument near the entrance of the club” and a bystander was shot while attempting “to intervene and separate them.” The heroic victim’s identity and current condition have not been released. Was negligent security a factor in this bar shooting? Read Our Legal Take below to find out if the victim may have legal avenues for justice and claims for substantial compensation in Georgia. What security measures, such as weapons screenings, bright lighting, monitored surveillance cameras, and visible security personnel, were in place to deter crime and protect the victim at the time of the shooting? By law, property owners in Georgia are required to protect all those legally on the premises from any foreseeable harm. Should the facts of this matter reveal that the lounge owner or management failed to provide adequate security, the victim may seek justice and elect to pursue legal claims for his injuries. The Murray Law Firm has obtained one $100 million dollars in verdicts and settlements for its Clients, including for victims of unsafe properties in Georgia, and recently secured a $29.25 million dollar verdict.